This week Kim’s challenge is about collections. Well, there’s an obvious thing that everybody’s collecting at the moment, but what else? I’ve collected frogs since I was a wee girl, and I also have a fair collection of Doctor Who artefacts on my bookshelves (oh, yeah – I’ve got a lot of books), and then of course there’s my collection of ukes and my burgeoning postcard collection. And last but by no means least, there’s our cats Cagney and Lacey. Here’s some of them collected into Canva. What do you collect? 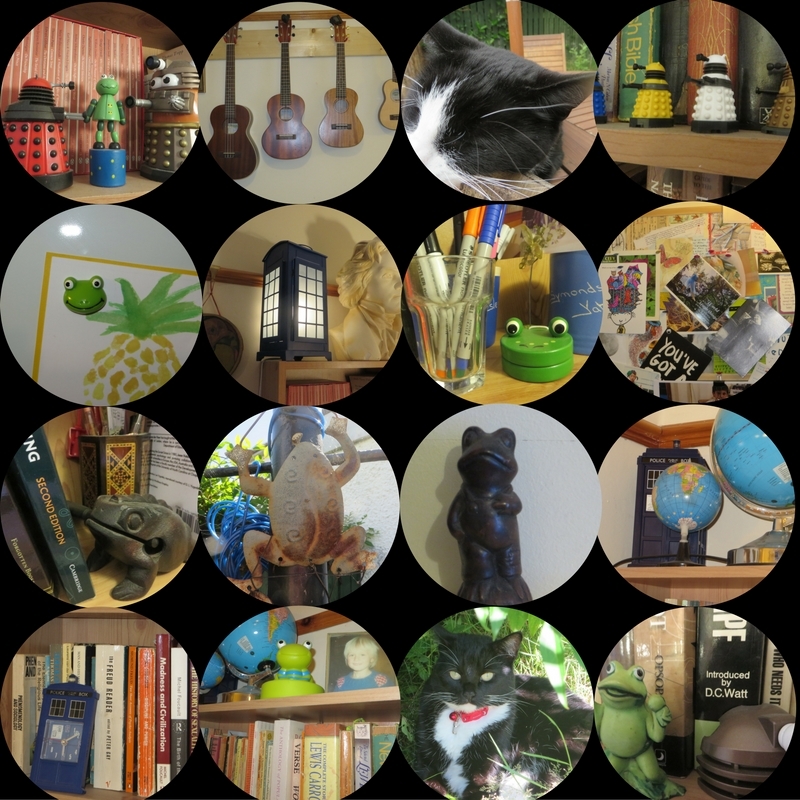 This entry was posted in #CLMOOC, Photos and tagged #clmooc, cats, collections, daleks, Doctor Who, frogs, Tardis, Ukeleles. Bookmark the permalink.